I’m typically apprehensive when it comes to ordering new curries worried it maybe too sweet, too mild, carrots, peas, potato, what if it’s fruity. There’s just too many variables to taste and even after an analysis of colour, texture, and smell, it still feels risky with the purchase, although the smell tends to be the best indicator. 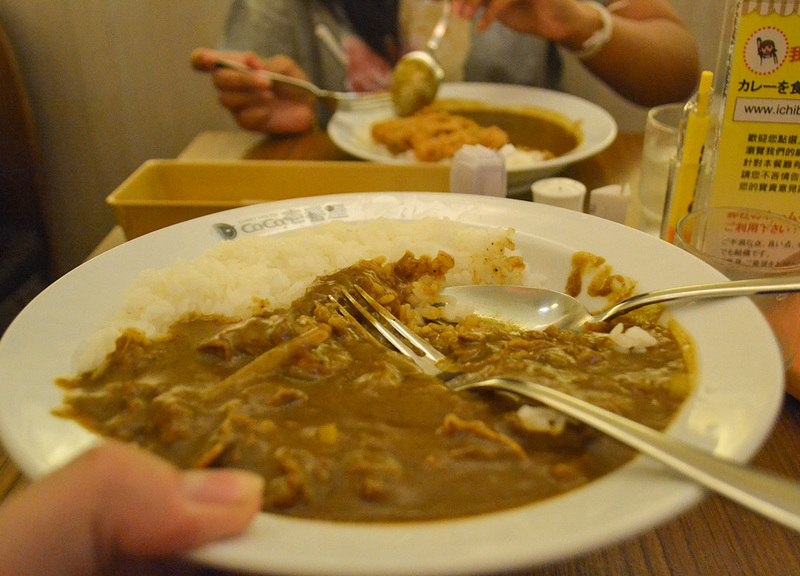 As all I really want is straight up, no nonsense curry, and this is what I love about Coco Ichibanya “The House of Japanese Curry”. With its one perfect curry packed curry sauce, without the dicking around. For those looking a less bland curry experience as well their is the choice of spice level firing it up from mild to crazy hot and the top levels come with warnings like “not for the faint hearted” and “consider the consequences”. This is my type of curry. And I know it’s not much to look at, but it is honestly the perfect comfort food for any curry lover, and for me it’s an addiction, a guilty pleasure, and I find it hard to even write this without the desperate for my next hit of curry. My first ever visit was in one of Bangkok’s many branches when I was lured on passing by curry smells impossible to walk by. Probably why “Good Smell. Good Curry” is there on the branding. And while only one curry sauce is offered there will always be the add-ons to keep the return visits new and exciting as ever. 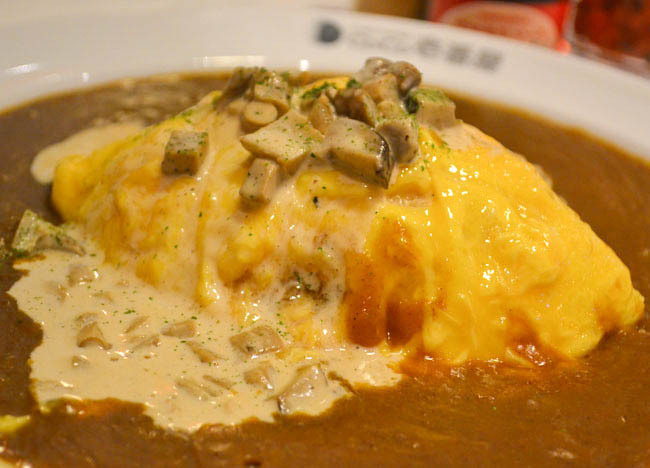 Fancy a creamed mushroom omelette curry for example, or curry on melted cheese. You haven’t lived. 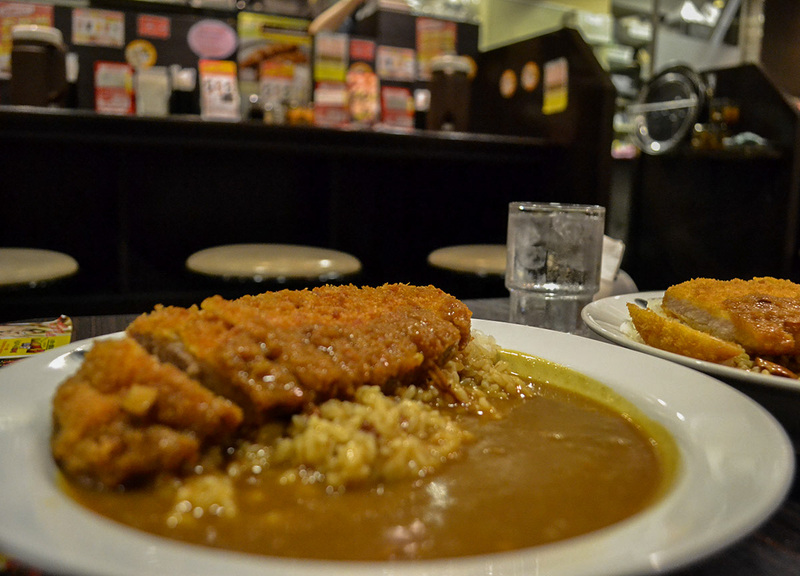 It has inevitably become our go-to curry house in Asia, as the recipe is perfectly replicated throughout and, so far, we have tested them in three countries; Thailand, Japan and Taiwan. In Taiwan it was in the Ximending area, often dubbed the Harajuku of Taipei, which is popular with the city’s millennials and not a foodie is in sight. As I don’t think foodies really care for the Modern Toilet Restaurant or the arguably tacky gimmicks of the modern day food court. But this is again why I love Coco Ichibanya. It’s non-pretentious and it makes perfect as fast food. A system which works well for many Japanese foods, with their simplicity in processes and their components of food production. Rice, fish, serve. Noodles, broth, topping, serve. Rice, topping, curry, serve. It’s systematic, almost robotic, and through continual improvement (and kaizen and kanban), the Japanese can create an almost perfect recipe and product. 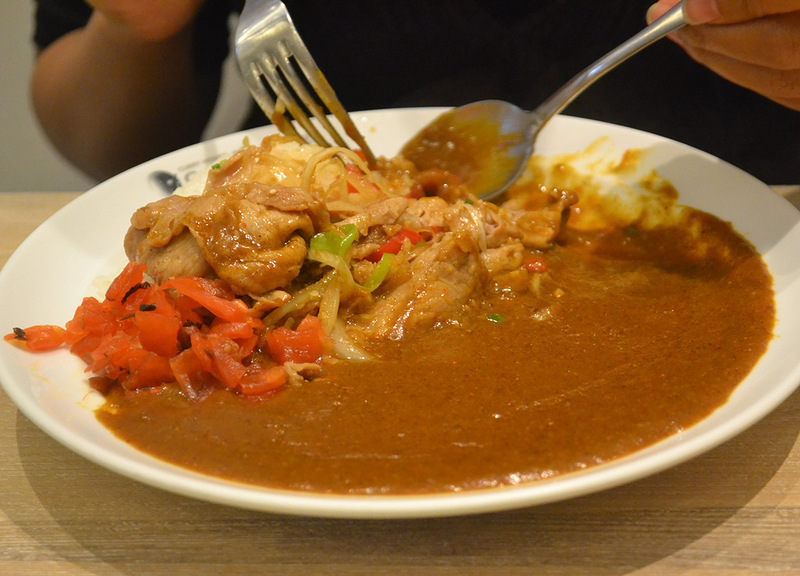 It is what they’re best at, and this is what makes Coco Ichibanya the largest curry chain in the world, now with over 1,200 branches, albeit most in Asia. What they have failed to franchise, however, is the somewhat quirky appeal of Japan as, other than the product, the restaurants aren’t very alike. In Japan they are more local, more soulful and ultimately less franchisey. As, unlike the global love for curry, the local set-up of restaurants and curry houses just don’t translate well when crossing borders. I find that eating in Japan is different to any I know where they are more friendly to individual eaters and lonesome dining. 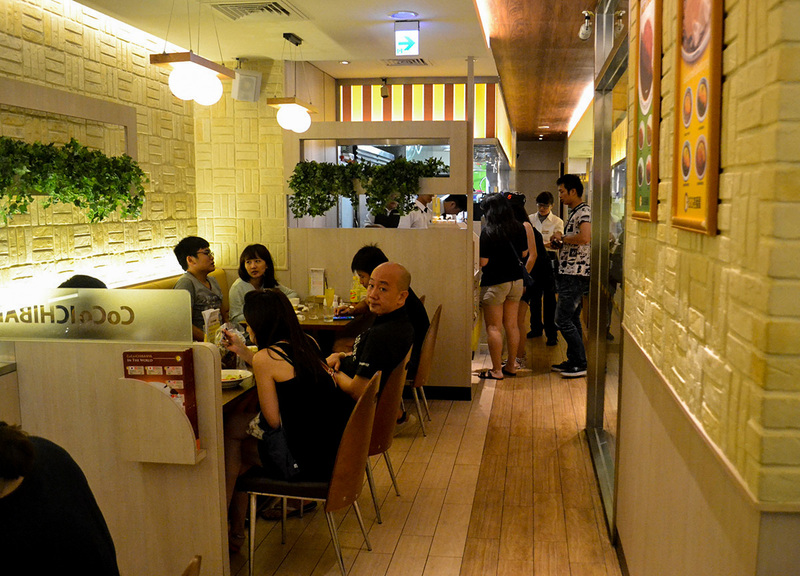 Ramen Bars for example, conveyor belt sushi, and the somewhat madcap setups of Yoshinoya Beef Bowl bars. Teppanyaki. 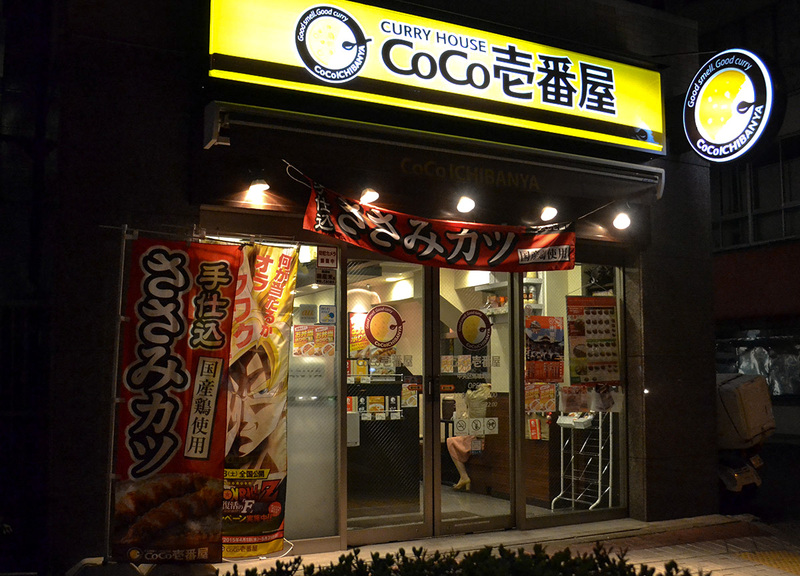 Similarly Coco Ichibanya in Japan has a curry bar along the kitchen as well as tables for the more fortunate in friendship. The place also feels less scrubbed and polished, and more cluttered, with interesting and unusual tidbits. It just feels more homely overall, although it’s a Japanese home, which is still weird to me. At the entrances are bookshelves with manga comics, and in the background plays a soulful Japanese jazz number. When leaving we are offered to put our hand in the lucky dip box, and I walked away with a Dragon Ball Z lapel pin as a prize. 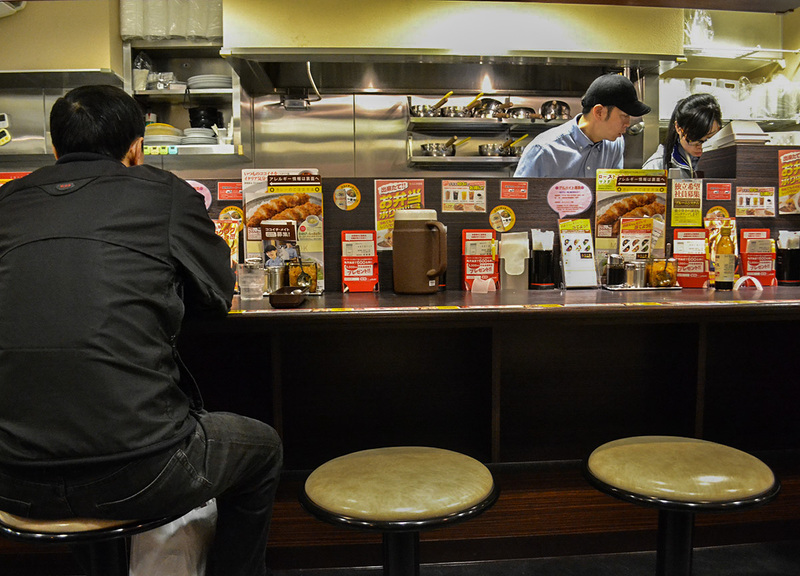 But it’s these unlikely quirks that makes these restaurant experiences in Japan better. As it is always uniquely Japan, in Japan.